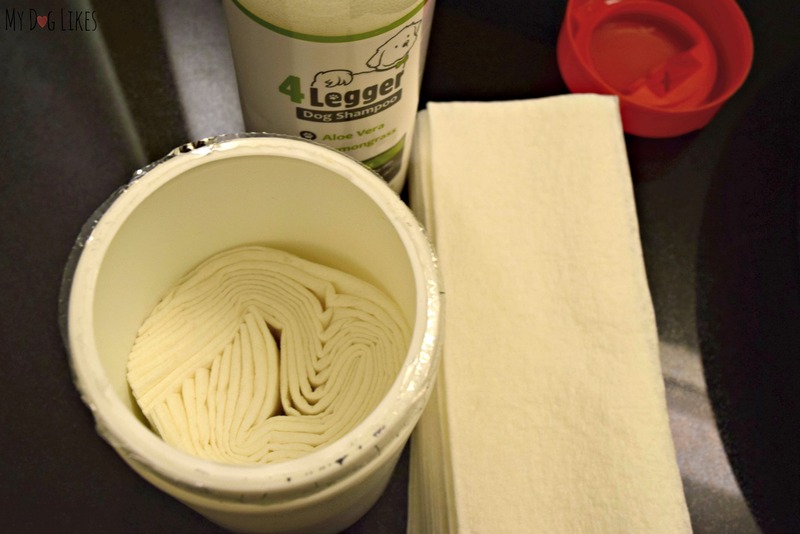 Making DIY Dog Grooming Wipes - Perfect for on the Go! 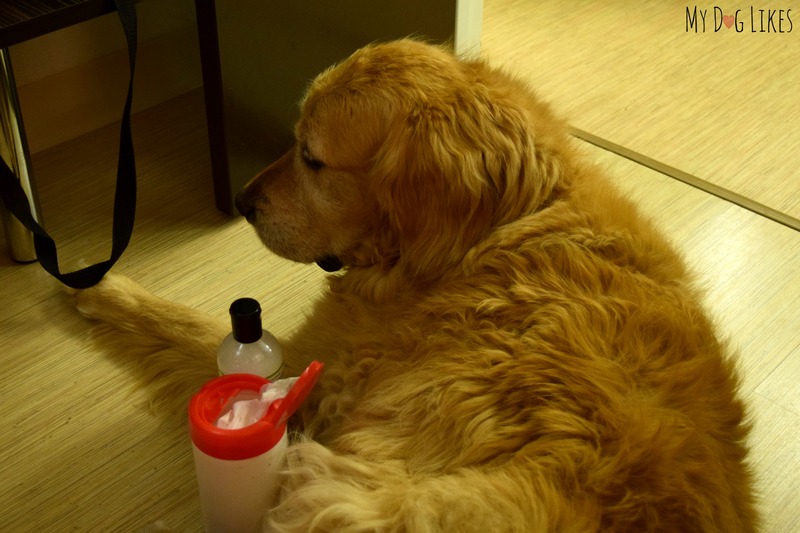 Making DIY Dog Grooming Wipes – Perfect for on the Go! Grooming wipes are a great option for freshening up your dog in-between baths, when short on time, or while traveling! In this post we will show you step by step how you can make your own wipes – and it only takes a few minutes! 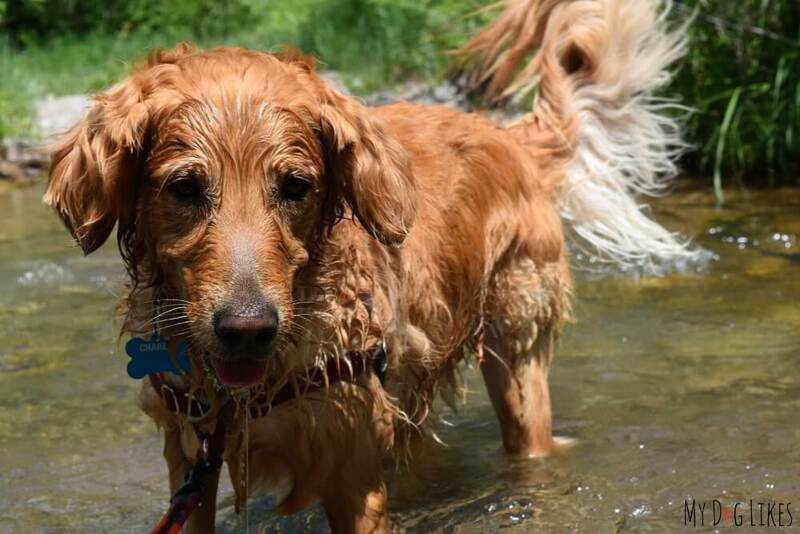 We made these wipes on the go during our recent dog friendly road trip and boy did they come in handy after each long day of hiking! After all, who wants to attempt giving their dog a bath in a hotel bathroom!? 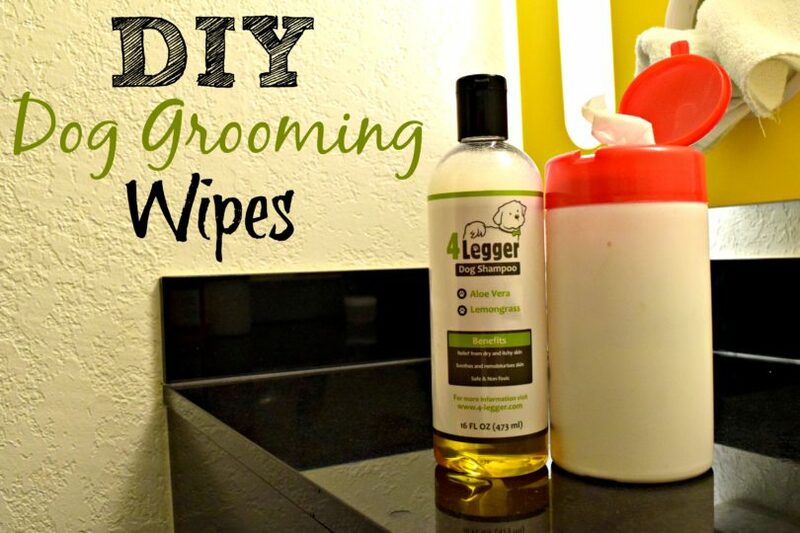 It is surprisingly quick and easy to make your own grooming wipes. 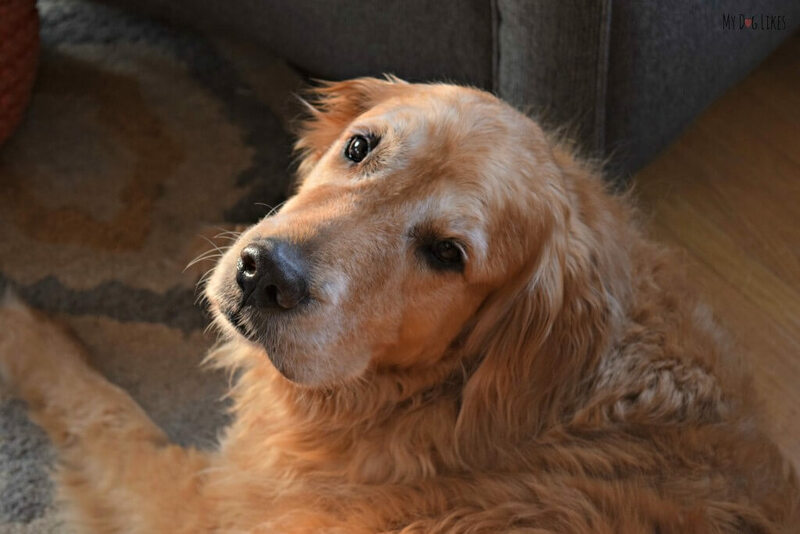 One of the greatest advantages is that you can choose your favorite natural dog shampoo, as opposed to many pre-made wipes which contain chemicals that are a bit harsher and can dry out the skin. These are also great because if you make them as needed they won’t end up drying out on you before they can be put to use! Empty container with a flip top – We used a simple cylindrical container, but if you wanted to get fancy you could also use one of these for the perfect pulling action! Box of tissue – You will want to choose something thick (like these) that can withstand getting wet! Take the lid off of your container and open your box of tissues. 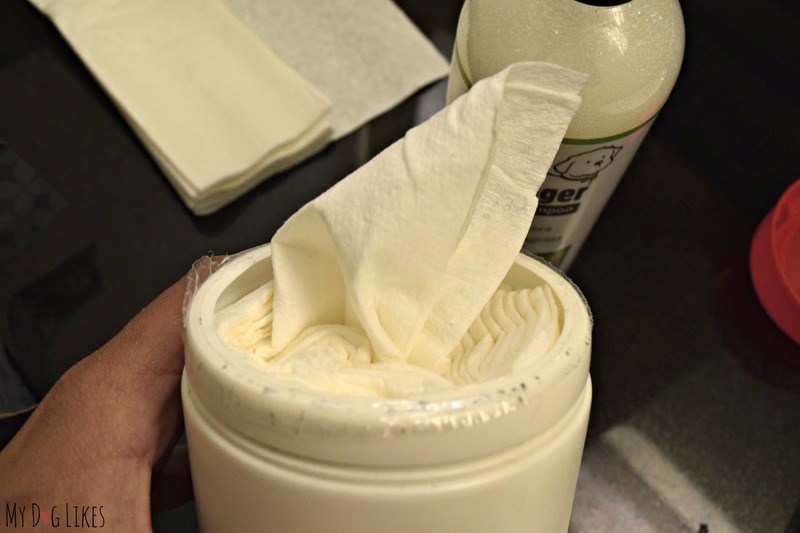 Next, grab a thick stack of tissue – you will want enough to fill the space of the container, but not so much that it needs to be crammed inside. Gently roll the stack lengthwise into the shape of a cylinder and slide into the container. 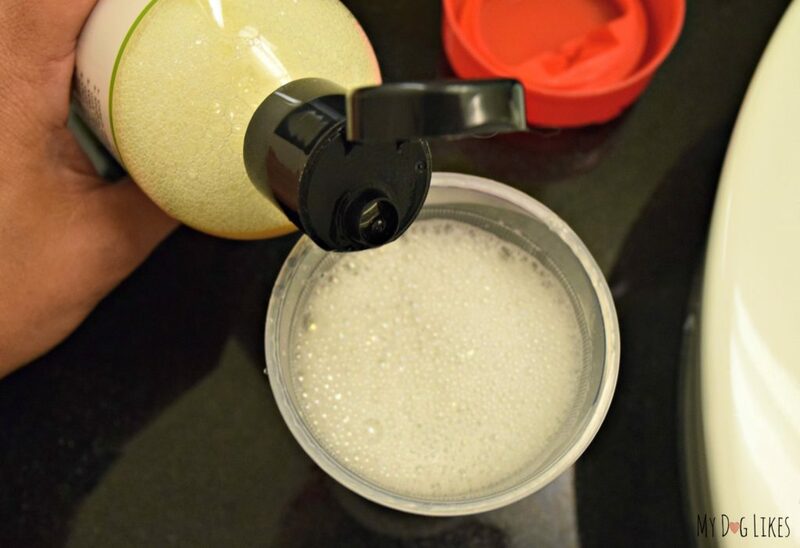 Add a few teaspoons of shampoo into at cup and slowly add warm water. All shampoo’s will “sud” to a different degree, so use your discretion with adding more soap or water. You want your mixture to be sufficiently “sudsy” but not all foam – it needs to be pour-able. After you are happy with the consistency of your solution, gently pour into the wipes container. Give the wipes time to absorb the moisture! You don’t want standing solution at the bottom of the container, but just enough to completely saturate the tissue. Mix and add more solution as necessary until the wipes are fully saturated. Charlie waiting patiently for his “bath” time! TIP: It may help to flip the container upside down and wait 5-10 minutes before adding more solution to help the absorption process. Now that your wipes are adequately saturated, all that’s left is to get them ready to use! Simply pull the center tissue up and secure into the clip of the cap to make for easy dispensing. The way the tissues are folded in their original packaging should allow them to pull right out one after another. Time to See How Well They Worked! Now that your homemade wipes are ready to go it is time to get that pup all cleaned up! Let’s take a quick look to see how well they perform on our dirty dogs! As we mentioned before, we used these wipes while traveling cross county with the dogs in tow. As a matter of fact, these photos were taken at a Motel 6 in Jackson Wyoming after a long day of hiking at Bridger-Teton National Park! Sorry Harley – it’s time to get clean! Using dog grooming wipes is a breeze, and we were very happy with how well these held up while running through the boys coats. 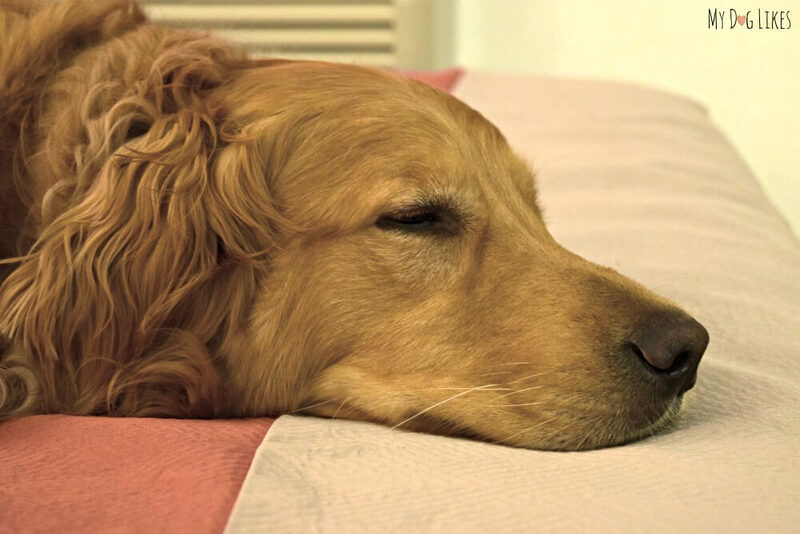 We only ended up using 1 wipe per dog and were able to remove most of the visible dirt and more importantly – the odor! Want proof? Just check out the picture below! GROSS! We would recommend using these wipes within a few days of making them just in case the tissue chosen begins to break down. Also it should be noted that since we used tap water, and no antibacterial agents, there is the potential for bacteria to develop over time. Not a big downside since they are so quick and easy to make – just something to keep in mind when incorporating into your grooming routine. 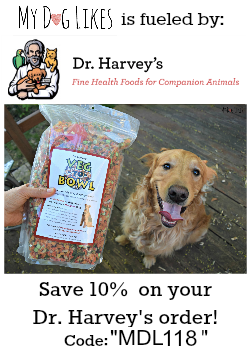 We would recommend simply keeping all of the necessary supplies in your dog travel bag so you are always prepared to make them as needed on the go! 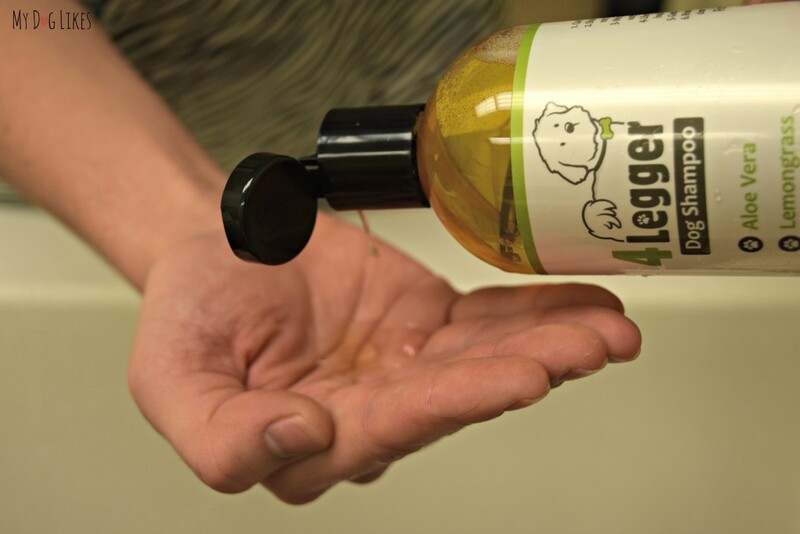 Wondering Why We Chose 4-Legger Shampoo? 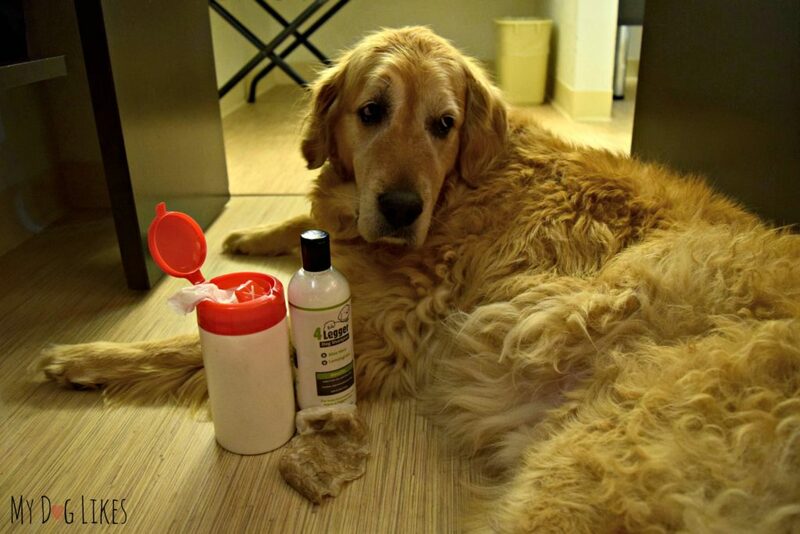 To put it simply, there is no company that we trust more when it comes to dog shampoo. All of their dog shampoo’s are organic and hypoallergenic. They are also free from parabens, sulfates and artificial fragrances. Because their products are all natural there is also no concern about whatever remnants may be left on the skin or coat after using the wipes. They will not be harmful if licked and will also not irritate the skin. Why Make your Own Grooming Wipes in the First Place? One of our favorite reasons to make our own grooming wipes is that we know exactly what is in them. Many grooming wipes on the market contain alcohols or cleaning agents that can leave the skin dry, or strip essential oils from your dogs coat. By creating our own, we are able to choose a shampoo that we trust, with no harsh chemicals or questionable ingredients. 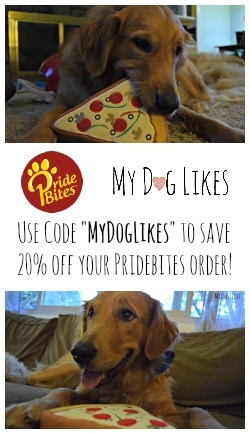 Our pups are far too precious for harsh chemicals! 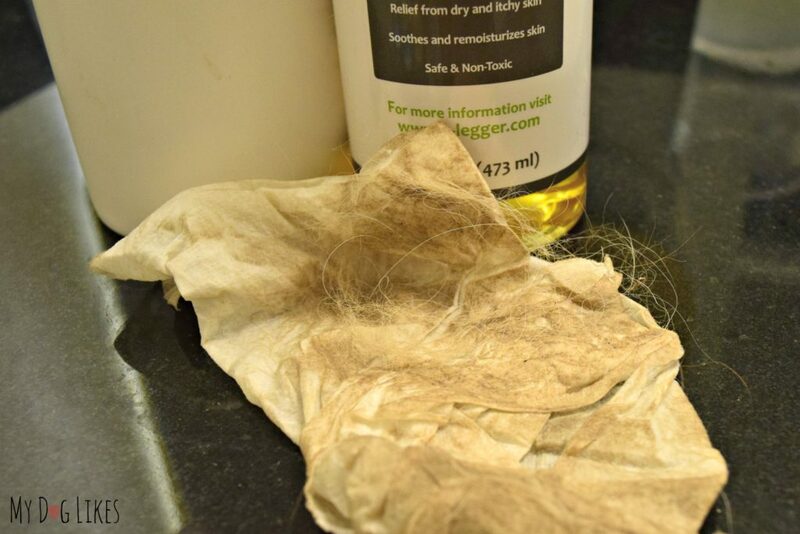 The second reason that these DIY dog grooming wipes come in handy is that since you are making them right around the time they will be used, they will not end up drying out on you. I don’t know about you, but grooming wipes are not something we use on a very regular basis. (When we are at home and the dogs get sufficiently dirty we usually opt for a full bath instead.) How many times have you gone to use wipes that you have had for some time only to find out that they are completely dry – even though the canister had been properly shut?! 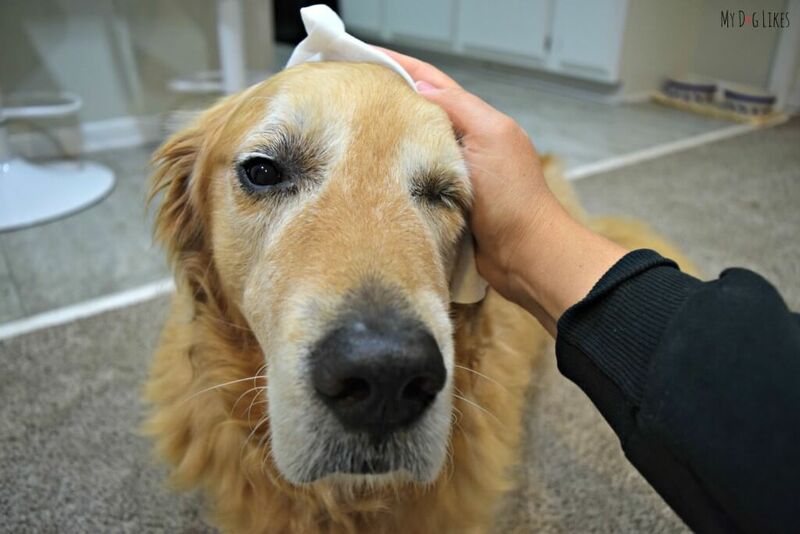 Making your own dog grooming wipes is a fun and simple DIY project that is perfect solution for those between-bath or travel messes! Thinking About Making Some of Your Own? Please leave a comment below if you have any questions! We would also love to hear how they turned out! Turkey, Cranberry Pupcakes Recipe – Celebrate with your Dog! Very cool idea! I need to do something like this to wipe Shiner’s feet. Maybe it would help her from licking so much. Cool idea! I’m just curious, don’t their fur get matted since the shampoo isn’t rinsed properly? Do you think I could use microfiber cloths? We just moved from the city to the countryside and the dogs have a few acres of yard/brush/fun to get into and they come back to the house stinky. I can’t bathe them every night and I hate to use so many disposable wipes, as this will be a long term solution for wiping them down at the end of the day, likely almost every day. Just curious if you’ve tried any that I could use, toss in a bin, then wash once a week and make more solution. yes – try “dog gone smart dirty dog shammy”. You can get them at pet stores or Amazon. They are amazing. We use them on all our dogs for quick clean up from outside and after a bath. They really absorb. Thank you so much for sharing! I love that I could make my own wipes for my dog. He loves being outside and gets messy so quick, yet he hates baths. This will be so nice for him. I started making and using these last fall and we just love them! My Shepherd is allergic and not only does it clean him, it really helps his skin and coat. And, my JRT cross – it just cleans her right up. We also bring the shampoo to the groomers for the full bath. So glad that they are working out well for you! Thank you so much for stopping back to let us know!